He was of average height and build, with blond hair and a disconcerting smile: his mouth expanded, his teeth flashed white, but his eyes expressed no joy or excitement. At best they looked nervous and slightly desperate, like those of an animal caught in a trap. At worst they looked dulled over, like the animal resigned to its fate, seconds from death. With magnanimity I confessed that I hadn’t yet learned his name. “Kyle,” he repeated. His dead-eyed smile sprawled across his face. He looked so crestfallen I apologized for not having cared more, though frankly my heart wasn’t really in it. “…and I’m sorry your father was angry at you,” I concluded. I tried to hide my irritation. Angry at me? Because his kid hadn’t managed to come to class on time? Would excusing the tardiness have been fair to the students who had gotten up when they should have, and who had spent twenty-five minutes in an active discussion that Kyle had missed? He smiled nervously and said that he would be presenting on Friday. Since he was the first one to present, he wondered if I could tell him what the grade would be based on. This was meant as an olive branch, but he only nodded seriously. I sensed that he was a little dull, and that he knew that this was one of his weaknesses. Something he would have to overcome. On Friday I launched into some preliminaries to warm up the class. I previewed the Michael Pollan essay we would be discussing on Monday. Out of the corner of my eye, I saw Kyle. I didn’t want to stare at him, but he didn’t look too good. He looked gray. Oh, great. A kid with stage fright for the very first one. Well, this will be good for him. He’ll need to be able to speak in public to advance in this life. I wrapped up my introductory remarks and turned the floor over to Kyle. “Kyle’s not here,” a creaky voice said. I blinked and stared. Kyle had spoken, but it did not sound like him. As my words trailed off, Kyle finally rose from his desk. He was wearing a robe and holding a plastic pipe. He had some kind of powder in his hair. 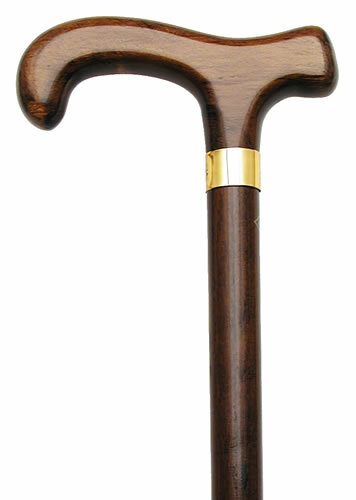 He shuffled to the front of the room, using a cane for support. I thought he might have lost his mind. As professional storytellers, we were duly awed by Rudy’s handling of The Grapefruit Incident, which begins, so casually, at Yale. Ironically, the dean was the father of the boy who, nine years later, was to hurl a grapefruit at me in a Boston theater and almost kill me. Apparently one of [the dean’s] sons noticed my rather uncivil question…and resolved that some day he would avenge this slight. What he actually did later at a Boston theater might have put him in the electric chair and me in my grave but fortunately his aim was bad. But of that more later. Orson thought this masterful. Appetites whetted, we read on until the now inevitable rendezvous of hero and grapefruit in a Boston theater where, as Rudy is singing, “Oh, Give Me Something to Remember You By,” “a large yellow grapefruit came hurtling from the balcony. With a tremendous crash it struck the drummer’s cymbal…” but “if it had struck the gooseneck of my sax squarely where it curves into the mouth it might have driven it back through the vertebra in the back of my neck.” Of this passage, the ecstatic Orson whispered, “Conrad”—what might have been if Lord Jim had remained on watch. The ecstatic Orson, whispering the word Conrad….simply sublime. You can ask the genie to transport you to whichever historical period you want. I’ll use one of my three wishes to go have lunch with these guys. 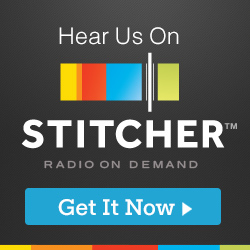 I’ve praised Marc Maron’s podcast before, and it’s (almost) always worth a listen. This week’s episode is especially good: friend of the blog (and underpraised American treasure) Harry Shearer! There’s a lot of subtext to this one and I’m not sure exactly what to think. Harry’s a complicated guy. He’s funny and brilliant, and yet he seems not to have too many friends. (How can that be!?) I blame showbiz: he’s spent his life battling the entertainment industry, and the fighting spirit has probably spilled over into his relationships with those closest to him. Like a Roman soldier on a decades-long campaign: how many friends did those guys have? Comrades, maybe, but friends? Maybe not so much. In any case, you can find it here. And if you’re a little wiped out by the SNL 40 hoopla, this is a welcome cleanser. Where to begin? This is one of those songs that critics dislike but listeners don’t forget. That voice! Those words! Like so much else on The White Album, it goes straight to our brain. It started with the rain. Tammy Wynette refused to perform on the uncovered stage, the foot traffic slowed to a trickle, and my boss Jerry couldn’t stop grumbling about the replacement band. All week Jerry had been irritated by Riverfest!’s new management, who reminded him of the college graduates who used to boss him around at the factory before his escape to the freedom of owning his own business. A popcorn wagon, an industrial laundry, and now and then the odd miscellaneous hustle. We operated in what you might call the gray economy: not exactly illicit, but not exactly well documented, either. Did we pay all our taxes? That wasn’t a question Jerry asked. He knew he paid enough. For years we had taken in cash from the fairgoers, our white money bucket filling throughout the day with hard-earned dollars from hard-working people looking to have a good time at the fair. 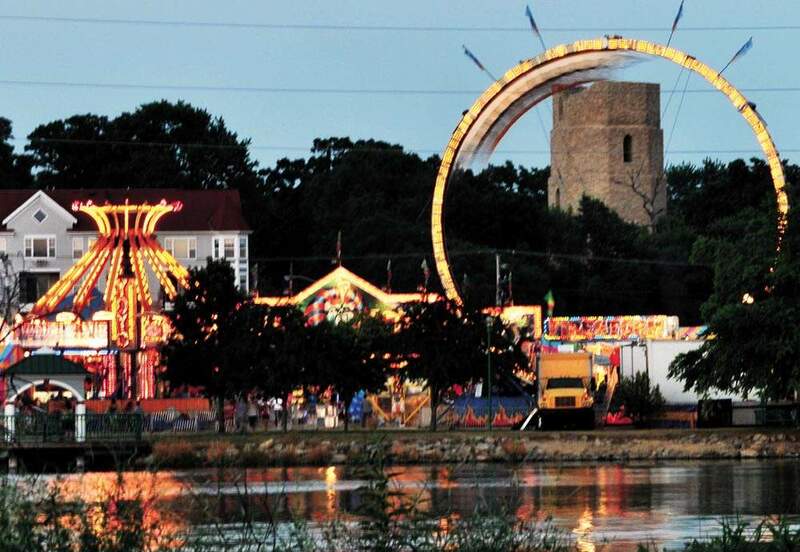 This year Thurl Albrecht, the chief college idiot, had installed a new system to “address issues of uncaptured revenue.” In order to make sure that the carnies and concessionaires weren’t skimping on the percentage they paid to Riverfest! Inc., fairgoers were now required to buy tickets at an official Riverfest! booth, which they then exchanged for rides and games and food. Jerry had taken this personally. I don’t think it bothered him that he was viewed as a cheater, because he knew he sort of was—he even took a kind of grifter’s pride in it. But the new system—these red tickets—had messed with his relationship to cash, and that was unacceptable. Oh boy! Our first real Paul song. Oh, I know, we had “The End,” but this is the first full-blown, get out of the way, a train-of-talent-is-coming-through-and-his-name-is-Paul song. “Lady Madonna” is one of those earwormy tunes that the Beatles cranked out around the time of the Magical Mystery Tour album, that forgotten little period in between the colossal albums Sgt. Pepper and the White Album. Albums are the thing, right? The pinnacle of artistic achievement from, oh, 1965 to whenever iTunes killed them off? A radio hit is great and all, but fans of the artist measure them in terms of albums. So as a collector or even just a fan, you have a whole other album’s worth just of songs—songs like “Day Tripper” and “Penny Lane” and and “I Am the Walrus” and “Hey Jude” and “Paperback Writer” and a dozen others. Songs the whole world knows. Not on an album. Including this one, which is as good as any of them. So much life and energy! Where does all that spirit come from? Hmmm…Paul played the piano, sure…but did he INVENT that opening riff?